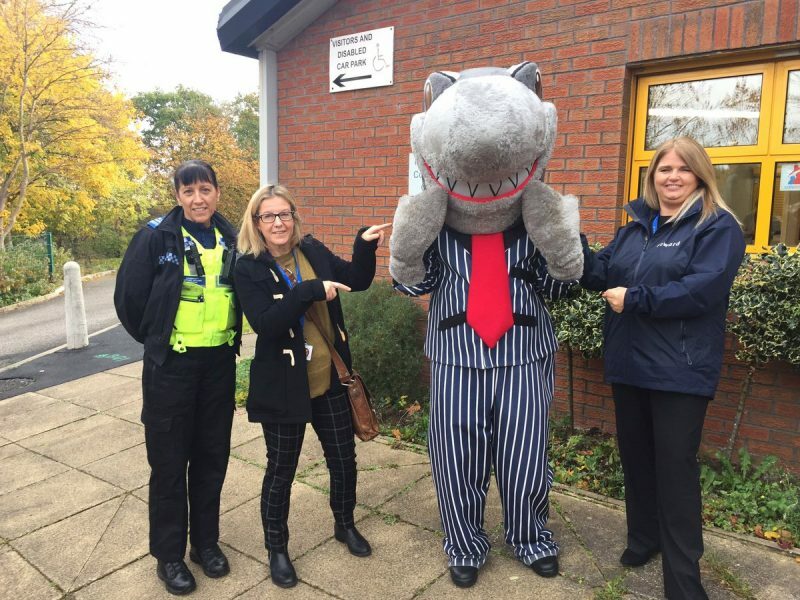 Onward is working with the England Illegal Money Lending Team (IMLT) to steer residents away from borrowing from loan sharks in the lead up to Christmas. We recently took part in a week-long campaign in Runcorn, hosting a series of engagement events to warn residents about the dangers of illegal money lending and provide them with the help and support they require. The events were hosted in partnership with a number of agencies, including the Illegal Money Lending Team, Cheshire Police, Halton Credit Union , Halton Trading Standards and local schools and MPs. We know that this can be a difficult time of year to make ends meet. As well as getting ready for the season of gift-giving, there’s also the added cost of increased utility bills during the cold winter months to worry about. With the added expense of Christmas, making sure that all our priority bills are paid can be difficult, and this can make us vulnerable to high-cost lenders such as loan sharks. Loan sharks are illegal money lenders who seem like a good option when you need money quickly or are having difficulty getting credit, but can soon become intimidating or threatening when it’s time to pay up. With illegal money lenders like loan sharks, it’s also easy for your loan to spiral out of control. Loan sharks deliberately target people during the Christmas period, when they know that money is tight. Have had debts randomly increase or have had additional amounts added to a loan unexpectedly. Have been subject to intimidation and threats by the money lender. Residents can check if someone is authorised to lend money by visiting the Financial Conduct Authority’s website and searching for a company, person or postcode through their Financial Services Register. If you’ve already been the victim of a loan shark, you’re not alone. Contact the England Illegal Money Lending Team (IMLT) on 0300 555 2222 to speak to a member of the team in confidence. They are there to help, not judge, and will let you know what your options are so you can decide what to do. To report a loan shark, call the 24 hour hotline on 0300 555 2222, text a report to 078600 22116 or email reportaloanshark@stoploansharks.gov.uk. If you need a cash loan or would like to open a savings account in preparation for Christmas, then why not consider a credit union instead? Credit unions are not-for-profit financial organisations, set up for a specific community known as a common bond. They offer savings accounts and loans that are likely to be cheaper than payday or doorstep lenders. Find your nearest credit union here. Are you ready for the 53-week year?